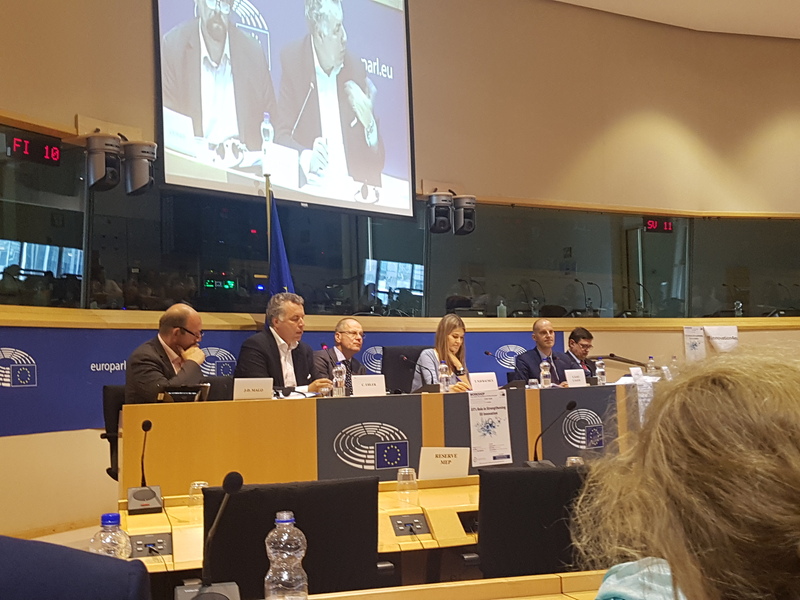 Held in the European Parliament (Brussels, BE), this workshop focused on current work and future goals of the EIT (European Institute of Innovation & Technology) in strengthening innovation across Europe. Speakers included three MEPs on the STOA Panel, Eva Kaili (S&D, EL), Paul Rubig (EPP, AT), and Christian Ehler (EPP, DE), Tibor Navracsics (European Commissioner for Education, Culture, Youth and Sport – responsible for EIT), Martin Kern (Acting Director of EIT), and Jean-David Malo (Director of Open Innovation and Open Science, EC, DG RTD). Key messages highlighted EIT’s success in helping to close the innovation gap in Europe, and impact in regions across the whole of Europe through the Regional Innovation Scheme (RIS). Navracsics and Kern both indicated there will be an expansion of EIT, with two hubs planned before end of 2018 in USA and Israel, and third planned in China during 2019; there will also be new EIT communities in addition to the existing six (Climate, Digital, Food, Health, InnnoEnergy & Raw Materials). In the future, there will be more cross-community actions, and links with European Structural Investment Funds, the proposed European Innovation Council and European Universities Network, and calls will be adapted to match UN Sustainable Development Goals (SGDs).